It’s all about Angkor Wat, The Killing Fields and big cities in Cambodia, but did you know it has great beaches too? 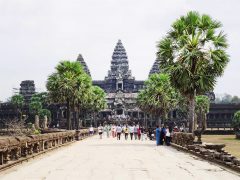 Find travel information about Cambodia. What does it cost to travel Cambodia, how to travel through Cambodia or what is the best season to travel Cambodia? It’s all written down for you.